Welcome to the new school year at Fallon Middle School! The Fallon Flash is a weekly newsletter from the PFC about important happenings in Fallon. 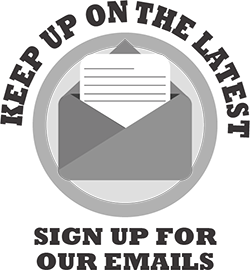 Parents who are not receiving this newsletter can click on this link to subscribe. Here's to a wonderful school year at Fallon! Please join us on Tuesday, September 1st for Fallon Middle School's annual Back-to-School Night. Teachers Karen Brown and Nicole Richards will be conducting a workshop with tips for using Infinite Campus and the Parent Portal beginning at 5:30 pm in the Multi-Purpose Room. Doors to the gym open at 5:45 pm with opportunities to learn about after-school enrichment programs and Parent Faculty Club activities. Principal Sweeney will welcome parents at 6:05pm, and classroom visits will begin at 6:30 pm. Your child will bring home a flyer on Tuesday with the complete schedule. We hope to see you there! Do you have a passion or area of expertise that you could share with Fallon students? PFC is working with parent volunteers to establish new and exciting enrichment programs at Fallon! The deadline to submit applications to start a new enrichment program is Sept 15. Visit the PFC Enrichment website for more information, and to see a list of opportunities for parents. Click here. Fallon Mathletes is a parent volunteer-led after school enrichment program for Fallon students who are excited about Math! They will train for the MOEMS Math Olympiads, and take part in fun Math games. We need 1-2 more parents to volunteer their time as Math coaches, and are now accepting signups for both students and parents.